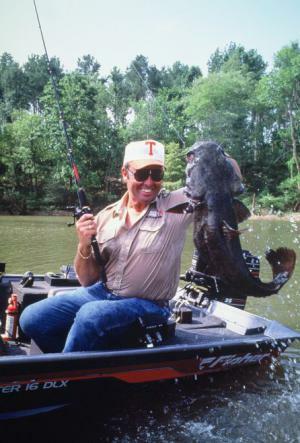 Bill Dance is a Collierville, Tennessee-born American professional fisherman, an angler, a television host as well as an author. Born on 7 October 1940, Bill is best known for being the host of television shows which showcase his fishing and angling skills. He currently hosts shows like “Bill Dance Outdoors” and “Bill Dance Saltwater” on networks including NBC Sports and Outdoor Channel. A well-known television personality who captures his fan’s hearts with his angling skills, one may wonder how rich is Bill Dance? As of early 2016, Bill counts his net worth at an amount of $4 million, as estimated by sources. He has been able to amass his wealth being involved in fishing as well as the television industry. Being the owner of his company “Th3 Legends” has also been adding to his wealth over time and so is his Youtube channel. Lynchburg, Tennessee-raised Bill intended to be a doctor as his father William Dance and his grandfather, but when he met with an accident in the early 1960s, he changed his mind from medicine and started competing in fishing tournaments. Specifically, he competed in bass tournaments in which he had to fish for a freshwater fish known as black bass or Micropterus. At the time, he was sponsored by a fishing lure manufacturer who suggested to him that he start a television show to promote his product. In 1968, the program began airing on an ABC affiliate network shown only in Eads, Tennessee. Noted for his signature look which includes sunglasses and a Tennessee Volunteers baseball cap, Bill started his show “Bill Dance Outdoors” in 1968, which has been airing until this day. The show is a fishing television series on NBC Sports channel, while his other show “Bill Dance Saltwater” airs on Outdoor channel. Bill is presently gaining popularity on Youtube as he uploads the out-takes and bloopers from his television show on his Youtube channel. He is also the co-owner of “Th3 Legends”, along with his fishermen friends Roland Martin and Jimmy Houston. This company sells signature products related to fishing. Of course, all of these projects have had significance in making Bill Dance a multi-millionaire angler at the present. As an angler, Bill has been able to win 23 National Bass Fishing titles and seven Bass Angler Sportsmen Society or B.A.S.S titles while also being the catcher of the first bass in B.A.S.S history. He was named as “B.A.S.S Angler of the Year” in 1970, 1974 and 1977. He is also a member of the International Game Fish Association’s Hall of Fame and was inducted in the National Freshwater Hall of Fame in 1986. Apart from this, Bill Dance also won Congressional National Water Safety Award. Regarding his personal life, 75 years old Bill is a father of four children; at present, he resides in Eads, Tennessee with his wife Dianne. For now, Bill is enjoying his life as a celebrity angler and television personality while his present net worth of $4 million caters to his daily life.